The mapping of vulnerability and adaptation of Moroccan small farmers to climate change was presented on Friday, November 2, 2018 in Marrakech. Besides clarifying risks, it also helps to identify solutions and priorities for action. The Agency for Agricultural Development (ADA) presented to the general public the mapping of the vulnerability and adaptation of Moroccan small farmers to climate change. 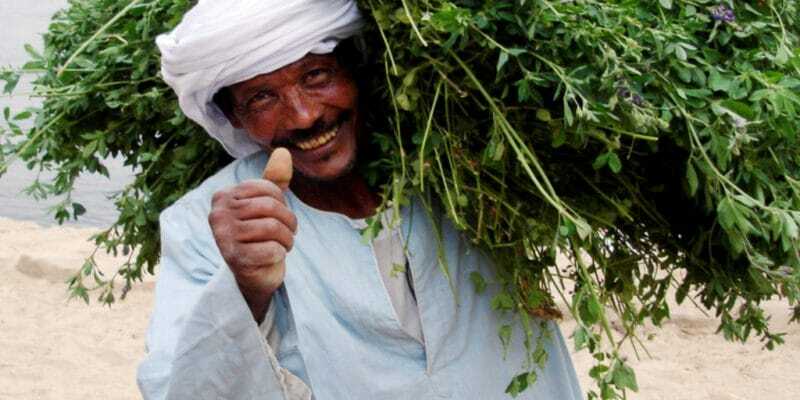 The tool is dedicated to regional farmers, implemented as part of the support programmes for the Green Morocco Plan (GMP) and financed by the International Fund for Agricultural Development (IFAD), an ADA partner. The mapping and the first results it produced were presented on Friday, November 2, 2018, during a seminar organised for the purpose. On the same occasion, the elaborated roadmap was also unveiled as a roadmap for the inclusion of smallholders and the identification of their needs in terms of capacity building and resilience to the effects of climate change. The mapping will help identify priorities, plan strategies and finance for climate change adaptation. To achieve this, the tool will allow an assessment of the most exposed sites and populations most affected by the negative consequences of climate change. The initial results provided served as data for ADA to submit a request to some donors for funding for priority projects in the study areas. The implementation of the cartography cost $450,000 and it is funded by IFAD. Mapping is already implemented in 16 provinces of Morocco: Taza, Boulemane, Sefrou, Azilal, Beni Mellal, Ifrane, Midelt, Khenifra, Taounate, Al Haouz, El Hajeb, Figuig, Oujda, Taourirt, Ouarzazate and Errachidia. The Moroccan government wishes to expand the use of the tool to the entire national territory. Agriculture is at the heart of the Moroccan government’s concerns. The sector accounts for 15% of GDP and ensures the employability of 40% of the workforce. Climate change could slow down the process. In the long term (between 2040 and 2069), Morocco may experience a decrease in rainfall between 17 and 20%. During the same period, maximum temperatures would rise across the country from 1.9% to 3 or 4%. A situation that will obviously have an impact on agriculture, which depends on rainfall. The mapping comes a few years after the implementation of the MOSAICC platform (Modelling System for Agricultural Impacts of Climate Change). The project was launched in 2011 to assess the impacts of climate change on agriculture, forest resources and the economy through a combination of multidisciplinary models. All these achievements are avenues envisaged by Morocco to implement its public policy in the fight against climate change, contained in the Green Morocco Plan. In 2015, Michael George Hage, FAO Representative in Morocco, praised the merits of the programme to our Moroccan colleagues of VieÉco: “In terms of water resource management for family agriculture, the Moroccan model for irrigation water management, consolidated in the Green Morocco Plan, has been highly appreciated and constitutes a standard that can serve as an inspiration to African countries.